In an odd bit of doublespeak, Microsoft has released a version of its Outlook Web App (OWA) as a native application for the Apple iPhone and iPad. OWA for iPhone and OWA for iPad, as the two applications are formally known, are now available in Apple App Store. Not everyone can use them, however—users must be Office 365 subscribers, and their administrators must run the latest version of Exchange Online, Microsoft said. If those requirements are met, users can download the free apps. Microsoft’s OWA for the iPad, left, and iPhone. What the apps do, however, is fill a hole that Microsoft left with the release of Office Mobile for the iPhone in June. 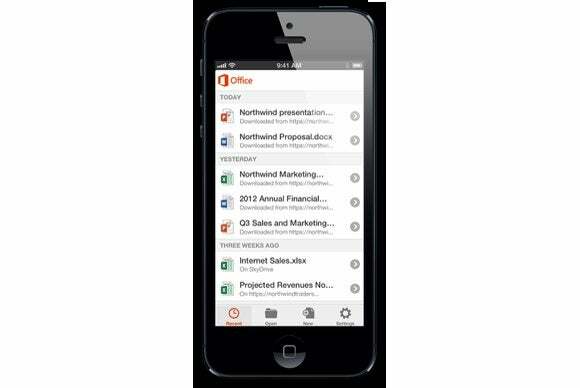 The “free” Office Mobile for iPhone app also requires an Office 365 subscription and includes the ability to open and edit—not create—documents in Word, Excel, and PowerPoint. Office Mobile iPhone users could only access Outlook via the web app. iPad users can now take advantage of OWA for iPad—Microsoft hasn’t yet released a version of Office Mobile for the iPad. However, by making OWA a native app, Microsoft said that users will gain several significant advantages: stored credentials for automatic logins, meeting reminders that pop up when the app is closed, voice actions, contact sync with Caller ID, and a remote wipe capability so that IT admins can remotely wipe contact and calendar data in case the device is lost or the user leaves the organization. Finally, the new app also includes push notifications, including the ability to display the number of unseen (not unread) emails as part of the app icon itself. Microsoft’s OWA for iPhone and iPad, calendar view. According to Chew, the Outlook Web App native app allows users to switch among Mail, Calendar, People, and Options by tapping the bottom left-hand corner of the screen. OWA for iPhone and iPad then opens up a tile screen, somewhat similar to the Windows 8 Start menu, where users can view their calendar appointments, a summary of their inbox, access their People contacts, and so on. Tapping and holding the icon at the bottom left-hand-corner of the screen (as shown below) allows users to dictate emails and calendar entries via voice. Email defaults to a two-pane view on the iPad, and a single-pane view on the iPhone, with the ability to swipe between screens and items. The OWA version of Office also includes MailTips, a handy feature that will pop up the out-of-office message from a colleague, preventing you from sending a message to someone who’s lazing about on the beach. Users can even install Apps for Outlook from the Microsoft Store, adding additional functionality. One day, Microsoft will release a full-featured Office suite for Apple’s iPhone and iPad. Until that day, Office Mobile plus OWA for iPad and iPhone will have to do.